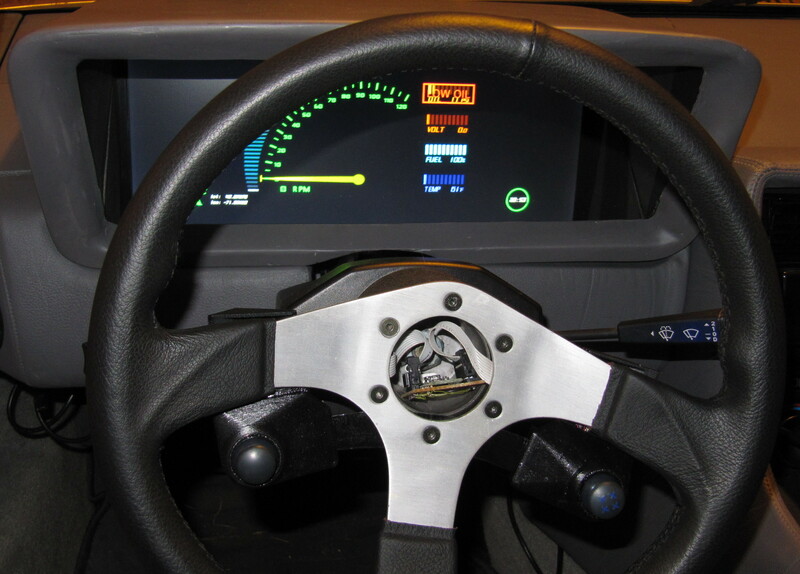 The stock DeLorean steering wheel is devoid of any convenient switches or lights. I'm working to fix that with some buttons and analog sticks! This project is not yet complete... nor is the writeup of my progress so far.